Ping Ruan, Consul General of the People’s Republic of China in Johannesburg, South Africa is encouraging Chinese and South Africans to work together and build good relations. Ruan was speaking on the sidelines on January 25 at the pre-celebration event held at the Houghton Golf Club in Johannesburg ahead of the upcoming Chinese New Year this weekend. The Chinese New Year also referred to as the Spring Festival, will be celebrated on Saturday in accordance with the Chinese calendar. Ruan said both the Chinese and the South Africans need to conduct their businesses within the confines of the law. He said there is a need for more cooperation between the two countries to build sustainable socio-economic developments. “We need to build economic bridges between China and South Africa to allow more economic activities to take place. Also, I would like to encourage fellow Chinese people to also conduct themselves good and abide by the laws of the country in doing their businesses in South Africa,” said Ruan. While they conduct their businesses, Ruan said there is a need for the Chinese people to also give back to the needy and also support those who are less privilege. Deputy Consul general Peidong Yang also shared the same sentiments saying the friendship between China and South Africa is very important. He said Chinese people coming to South Africa need to respect the laws of the country and further promote good relations. “They need to conduct their businesses lawfully to be able to enjoy their stay in the country. By so doing, they will be able to adequately participate in the economic relations that China and South Africa is building,” said Yang. 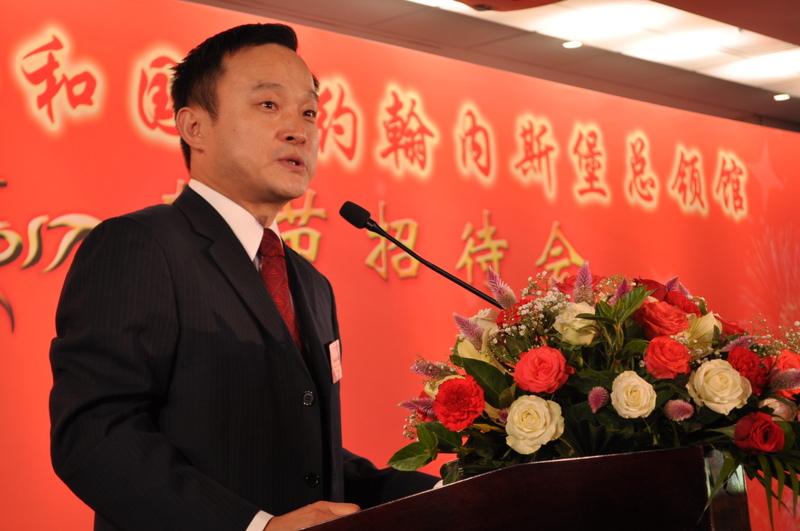 According to Yang, there are over 300 000 Chinese in South Africa that, as the Consul General of the People’s Republic of China, is accounted for and he wished them all a prosperous Spring Festival. The main New Year’s event in Johannesburg will be celebrated at Marshall Town in Commissioner Street near the Central Police Station at 6pm.